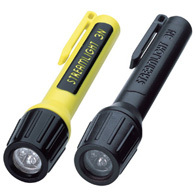 The Streamlight 2AA ProPolymer® Flashlight is an extremely durable, waterproof alkaline battery-powered flashlight with a push-button tailswitch for momentary on on-off operation. 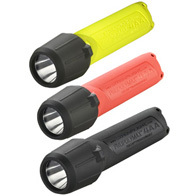 The Streamlight 2AAA ProPolymer Flashlight is a good choice for anyone who needs an intrinsically safe flashlight that is also compact and durable. 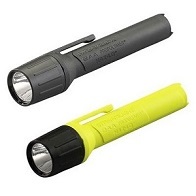 About the size of a marker, with two easy-to-find AAA batteries, this light is fits nicely into your pocket and is always ready to light your way. 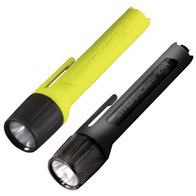 With 300 lumens of light, the Streamlight 4AA PROPOLYMAX™ Flashlight is the brightest addition to the Streamlight ProPolymer series. 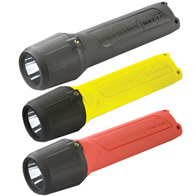 The Streamlight 4AA PROPOLYMAX™ Flashlight offers the latest in C4® LED technology and three different user selectable programs. 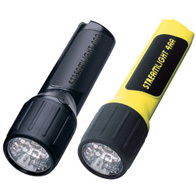 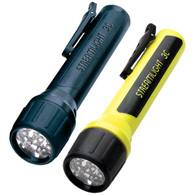 The Streamlight 4AA ProPolymer alkaline battery-powered flashlight is waterproof and features one Xenon module or seven ultra bright white LEDs.